In an effort to improve child outcomes, First 5 LA leaders and staff recently joined about 100 data experts and stakeholders from a broad range of disciplines at the Southern California Regional Health & Human Services Open DataFest to bring together knowledge, practical tools and innovative thinking to increase collaboration to better exchange data relating to children’s mental and behavioral health, adverse childhood experiences, social services and early childhood development. Open data is data that can be freely used, re-used and redistributed by anyone – subject only to the requirement to attribute and share alike. Many individuals and organizations collect a broad range of different types of data in order to perform their tasks. Government is particularly significant in this respect, both because of the quantity and centrality of the data it collects, and also because most of that government data is public data by law, and therefore could be made open and made available for others to use. 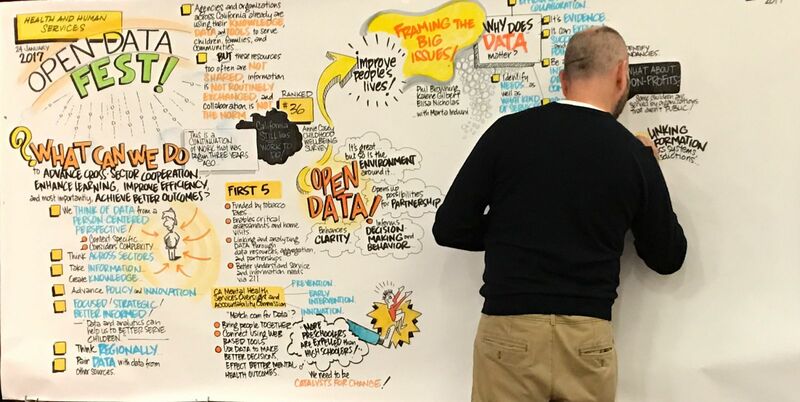 Open data has increased access to public health, health care, human services, and other data, driving meaningful use and spurring data-driven innovation. Held at the University of Southern California on January 24, the daylong event began with opening remarks from dignitaries that included Stewards of Change president Daniel Stein, California Health and Human Services Undersecretary Michael Wilkening and First 5 LA Executive Vice President John Wagner. 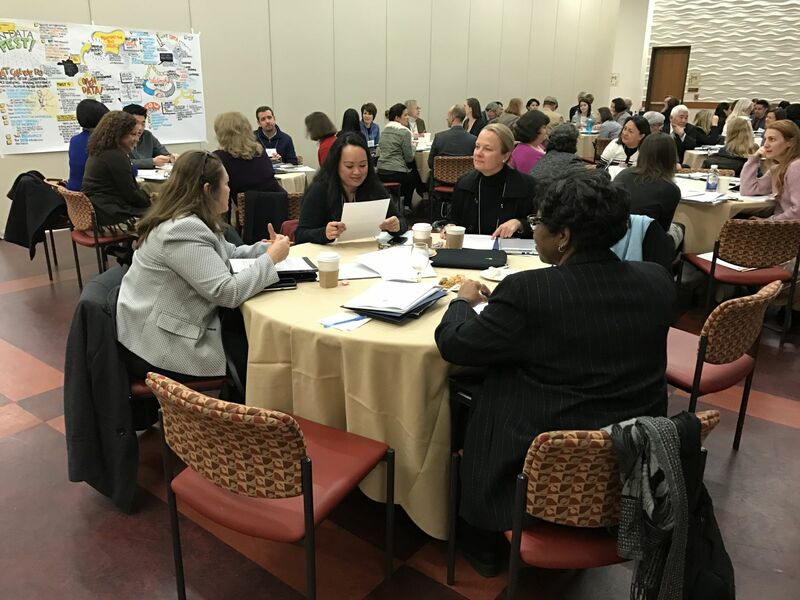 “We need to be focused, we need to be strategic, and we need to be pushing the envelope on how data can be a critical tool for better informing the delivery of services to our families, better informing practice across our systems, and better informing policy and advocacy efforts going forward,” Wagner told participants. Throughout the day, DataFest participants heard from speakers who have had success using open data and linked data to achieve better outcomes in their communities and they also learned about tools and resources they could use to improve process and outcomes in their own roles. Among the panelists and presenters were former First 5 LA Commissioner and Los Angeles County Department of Children and Family Services Director Philip Browning and Dr. Regan Foust, Director of Strategic Partnerships at First 5 LA-funded Children’s Data Network, an innovative data linkage center that builds relationships across county and state systems to gain access to data for data linkage purposes. In addition to hearing case studies and moderated panel discussions, participants had the opportunity to engage in interactive sessions that brought data experts and stakeholders together to discuss the benefits and opportunities of working in partnership to get better access to data to inform practice and policy change. The event was organized by Stewards of Change Institute (SOCI) in collaboration with First 5 LA, the California Health and Human Services Agency, the California Health Care Foundation, the Mental Health Oversight and Accountability Commission , kidsdata.org and MarkLogic. At the end of his opening remarks, Wagner followed up with a challenge to more effectively use data in the delivery of child welfare services in ways that protect privacy and avoid profiling.